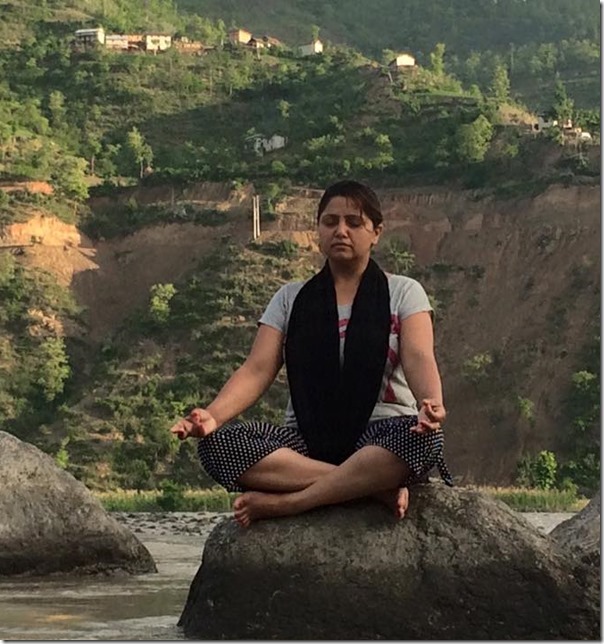 Comedy actress and producer Deepa Shree Niraula has shared some photos of meditation in her Facebook profile. 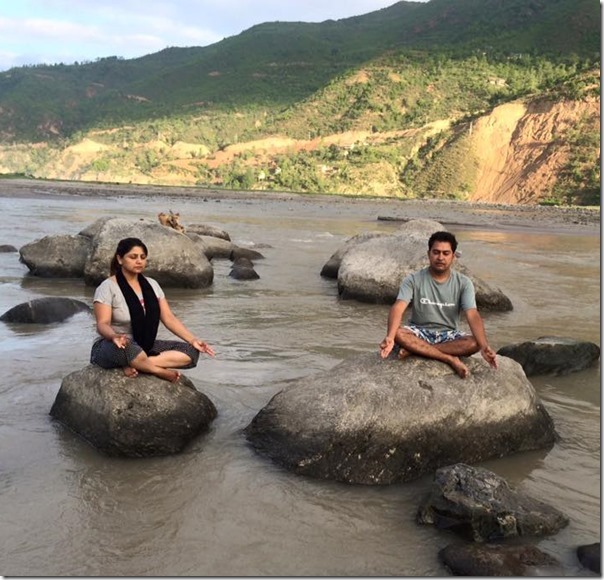 Shared by Niraj Nepal, Deepa and Niraj are seen meditating in various poses on top of big boulders at the bank of a river. 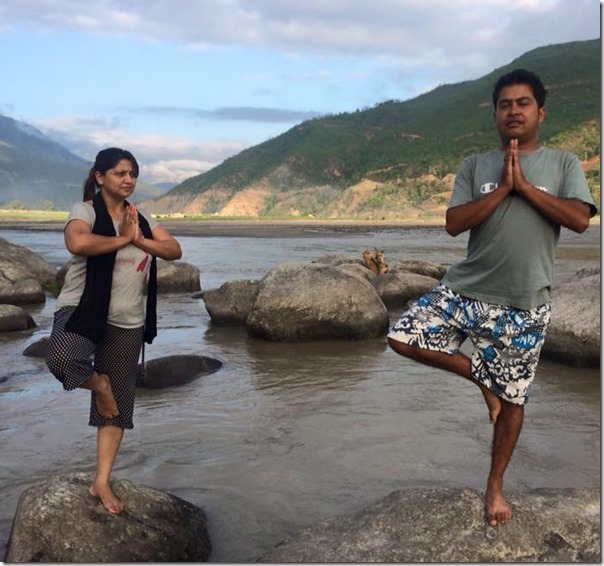 Deepa says that the location is a river near Manthali, Ramechhap. Deepa hasn’t given any more details about the meditation. As both Deepa and Niraj Nepal are actors, we are not sure if it were the real mediation or a part of the shooting. 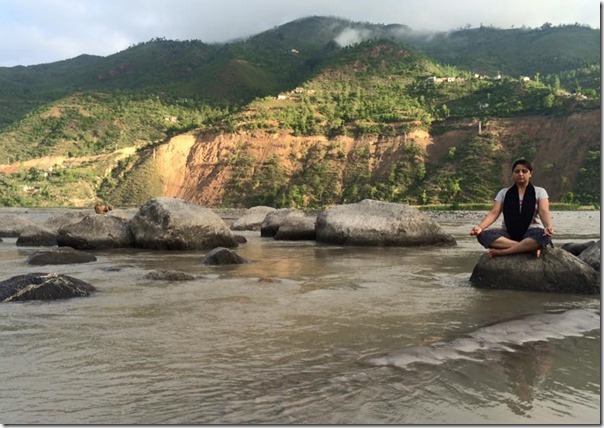 Whatever it might be, the scenery and the meditation poses are attractive. This entry was posted in Gossips, Photo Gallery and tagged Deepa Shree Niraula. Bookmark the permalink.